Diam. 100 cm. Height 146 cm. 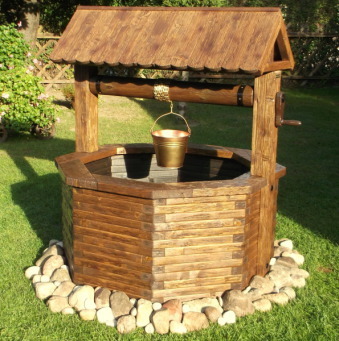 A nice well that harmonizes with both the house and the garden. 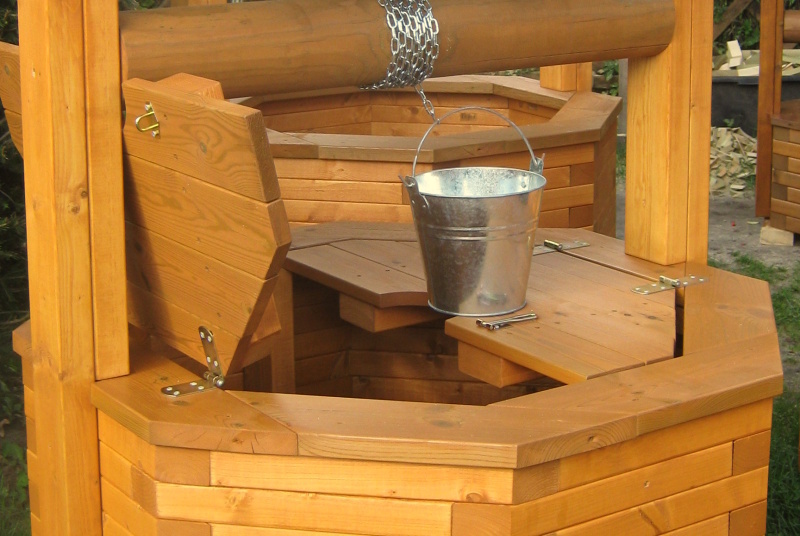 Includes anti-galvanized bucket as well as long-tailored chain. Diameter 100 cm. Height 146 cm. (Inner diameter 89cm) Proper well. The true soul in the garden. As a saponic well. 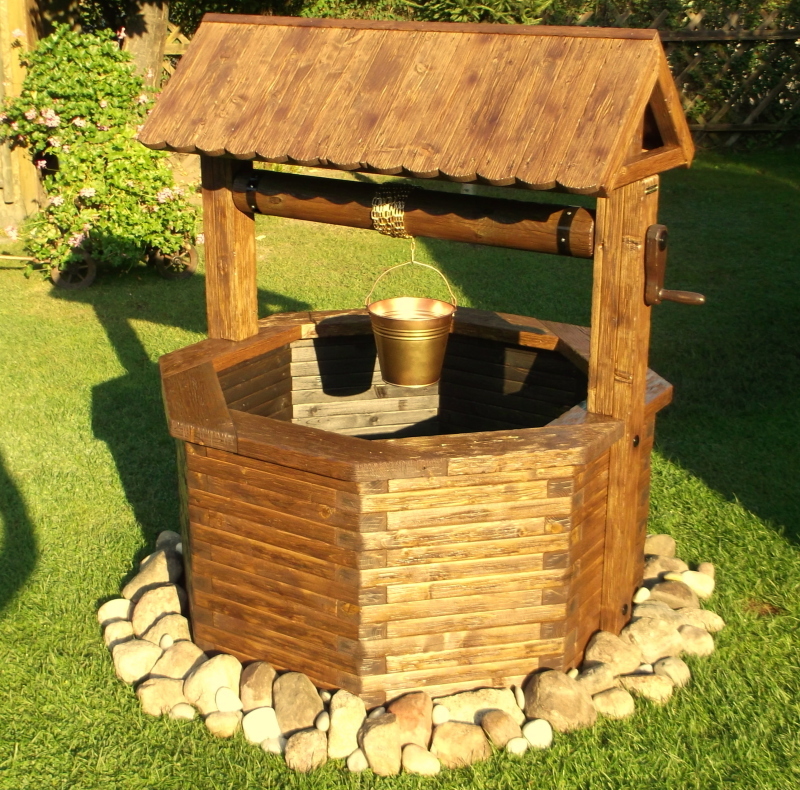 Perfect to cover the old well, drain or water intake and protect it from frost. 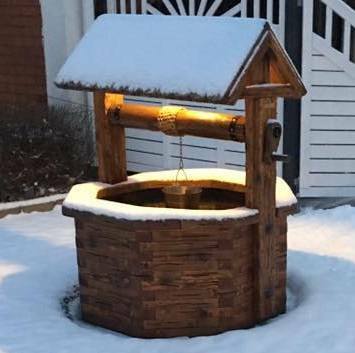 It can fulfill a host of useful features eg Such as flower box, garden lighting, barbecue, beer and wine fridge, fountain or other amazing ideas and visions. Diam. 120 cm. Height 151 cm. Diameter 128 cm. Height 158 cm. (inner diam. 112 cm.) Weight about 125 kg. FLAP TO THE WELL  90 €. 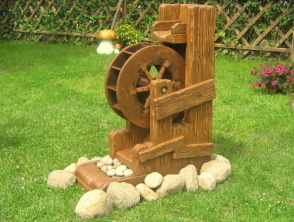 WATERMILL / WATER WHEEL  960 €. 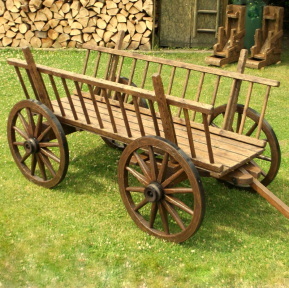 Dimensions: L: 87cm B: 51cm H: 108cm. OAK BARREL FOR WINE / WHISKEY  160 €. 4 liter oak of French oak, medium mediterranean on the inside. 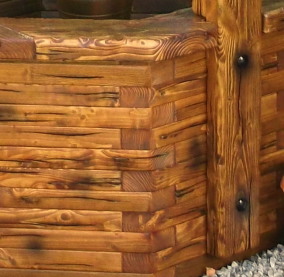 With new or old-designed wooden surface. You can store your own drink in. 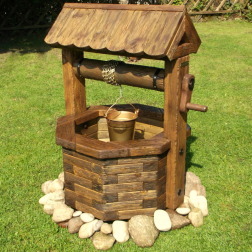 We also have: 1,2,3,5,6,10,15,20,30,50 liter. 1 liter price 130 € . 10 liters price 180 €. 2 liters price 145 €. 15 liters price 200 €. 3 liters price 155 €. 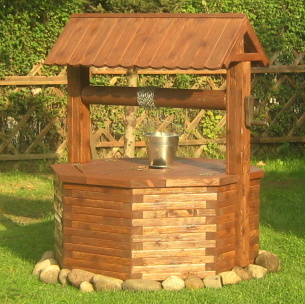 20 liters price 220 €. 5 liters price 165 €. 30 liters price 260 €. TIP: Begin with water in the dish for 24 hours before filling with wine whiskey, etc. 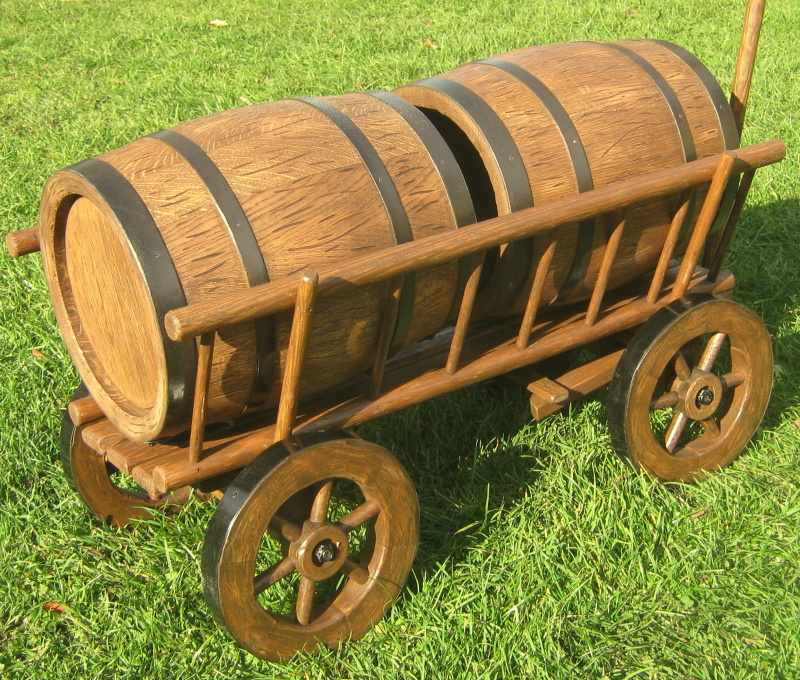 HORSE CARRIAGE WITH OAK BARRELS  790 €. The ovens of real oak of 30 liters each. 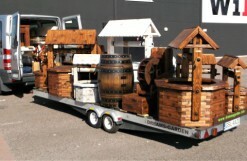 We can build larger / according to your wishes. 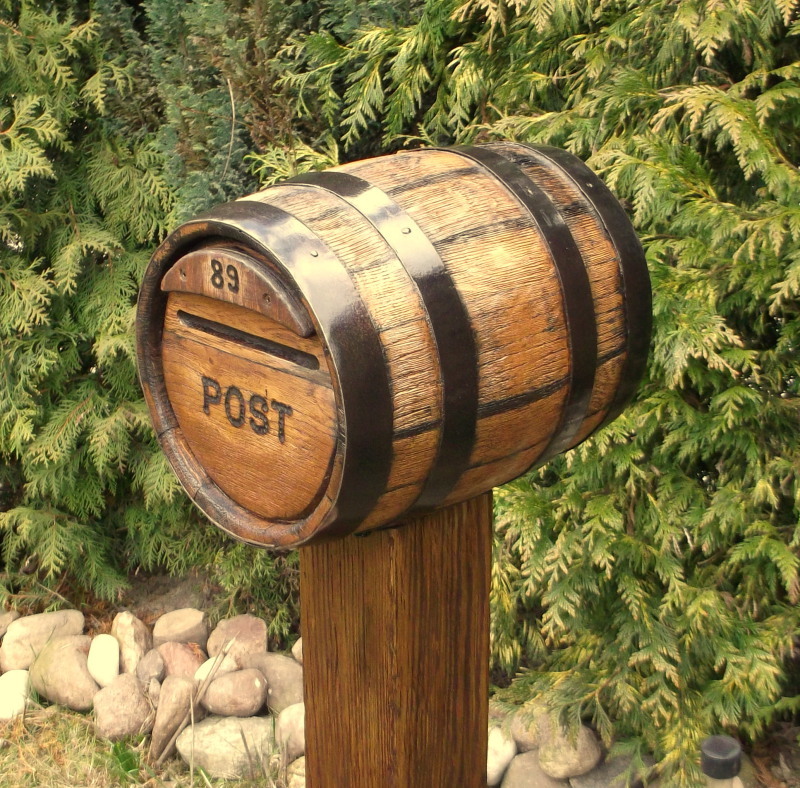 Even the barrels can be with a brass drip valve for storing liquid products like beer, wine, whiskey. WINE BARREL BAR CABINET MAN CAVE  880 €. Original ornament with great function. Made of genuine French squirrels. Old-fashioned and patinated wooden surface. 6 wheels make it easy to move the cabinet wherever you want. incl. Automatic LED lighting +60€. 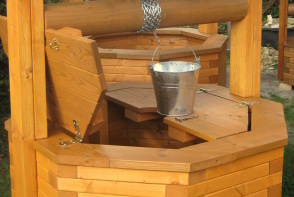 Ask us if you need more information about the wooden tunnels. WINE BARREL HOME BAR CABINET  970 €. WINE BARREL HOME BAR CABINET MAN CAVE  1180 €. OLD DESIGN with every details. Simple but so beautiful and timeless in its form. Complete gates according to your own wishes. In the highest quality. 10 year warranty. Height of posts 110 cm + 90 cm into the ground. Width incl. Posts 180 cm. You can choose height, width and pattern according to your own taste. 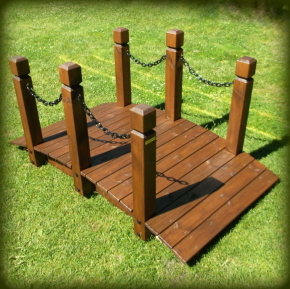 WOODEN GARDEN BRIDGE / FOOTBRIDGE  980 €. L: 160 cm B: 95 cm 1030 €. L: 170 cm B: 95 cm 1080 €. L: 180 cm B: 100 cm 1140 €. L: 190 cm B: 100 cm 1190 €. From 30 up to 120 cm. 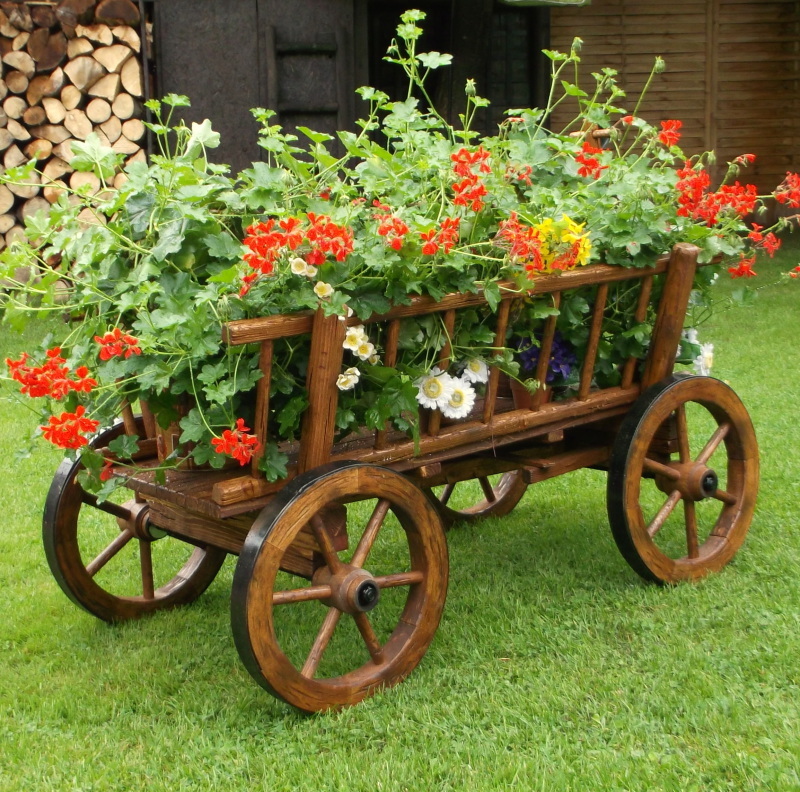 HORSE CART PLANTER  520 €. Untreated, teak painted or patinated. Perfect as a flower box. 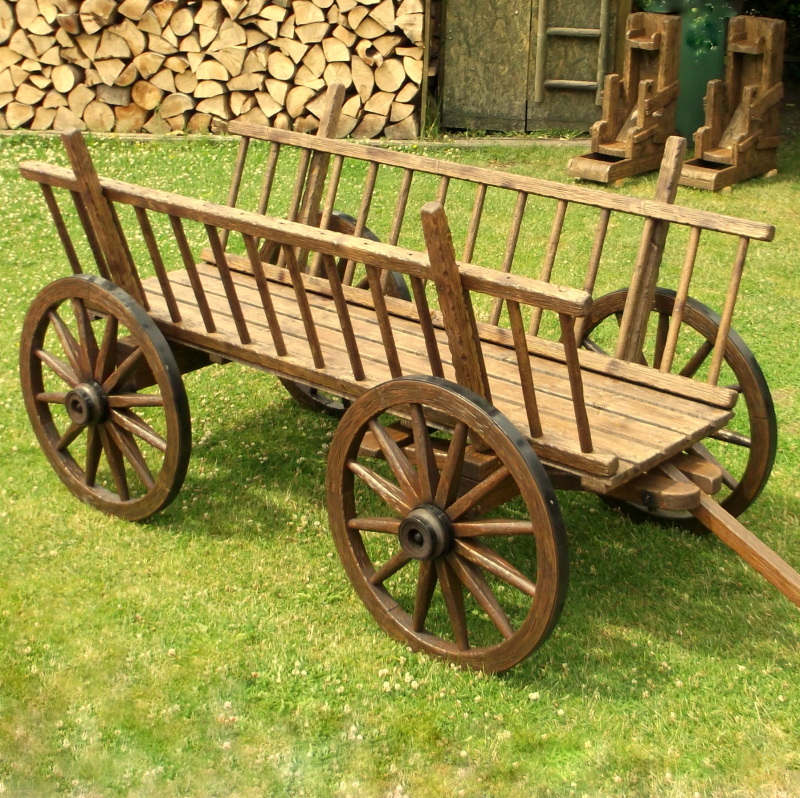 HORSE CART WITH LADDER  2180 €. 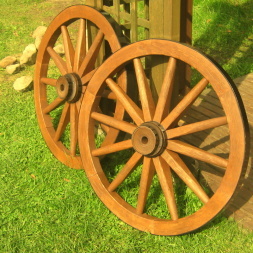 Wheel diameter: 90 cm. Price 2600 €. The size can be customized according to your wishes and needs. 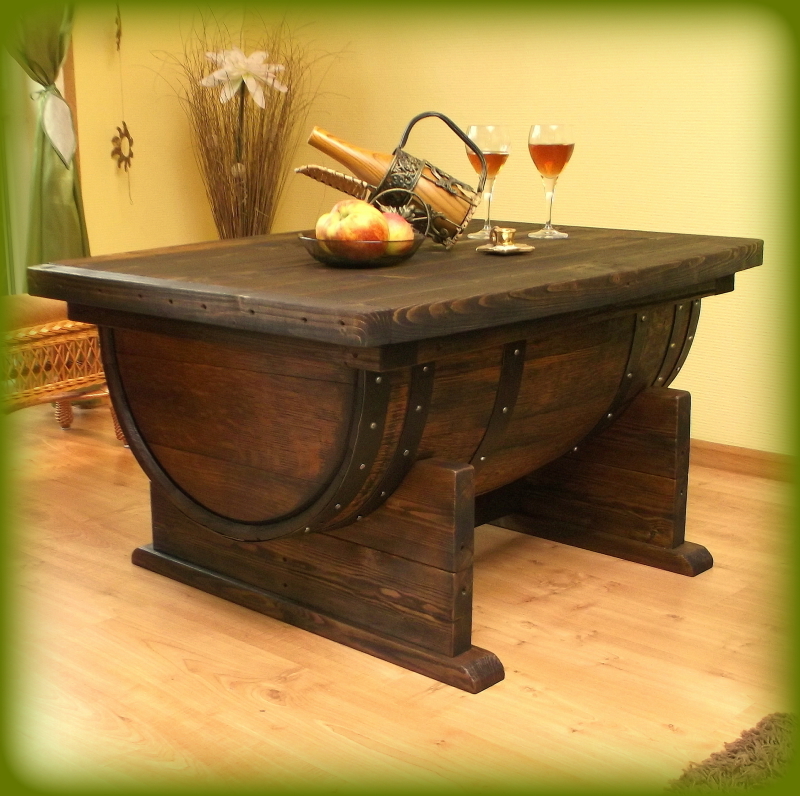 COFFEE TABLE / WINE BARREL / MAN CAVE  960 €. Wonderful unique coffee table / living room table. Dimensions 110 x 84 cm. The lower part of real oak barrels. Total weight about 70 kg. Several pictures can be sent as desired. 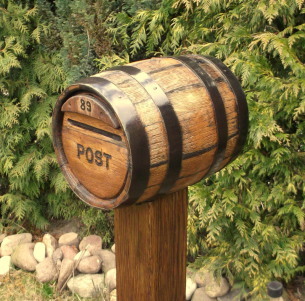 .. very fun and original mailbox. 24cm in diameter at the bottom. Of course, we burn the number of the box as desired. The pole to the mailbox about 160cm. Length price 30 €. 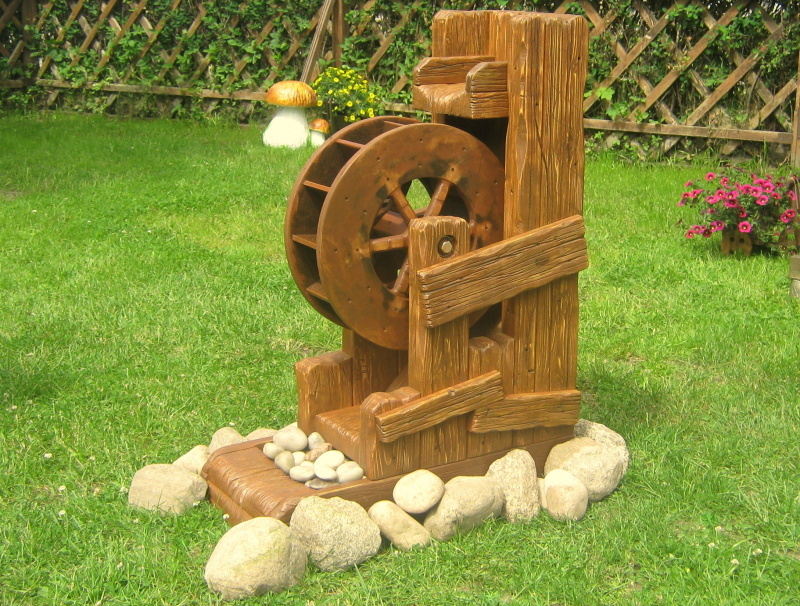 Make your garden more beautiful at once. 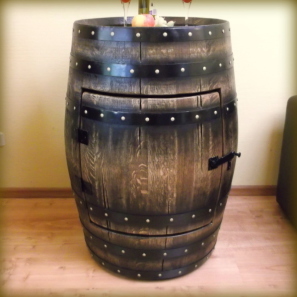 COFFEE TABLE WINE BARREL MAN CAVE  460 €. Elegant and original table made of genuine oak barrels with beautifully designed wooden surface. Pallets sell separately if you wish. Price 160 €. For 1 pc. 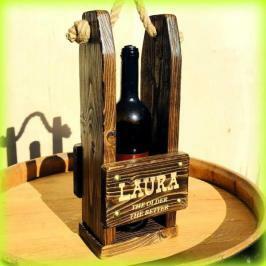 PERSONALIZED SIGNBOARD GIFT WINE BARREL  390 €. The bottom of the vintage tunnel in "old design". Perfect as a billboard for a shop, lounge, bakery, café, pizzeria, restaurant, pub etc. We engrave text & logotype according to your wishes. PERSONLIG SIGNBOARD GIFT WHISKY BARREL  480 €. BARREL PRESENT GIFT GADGET LOGO  140 €. 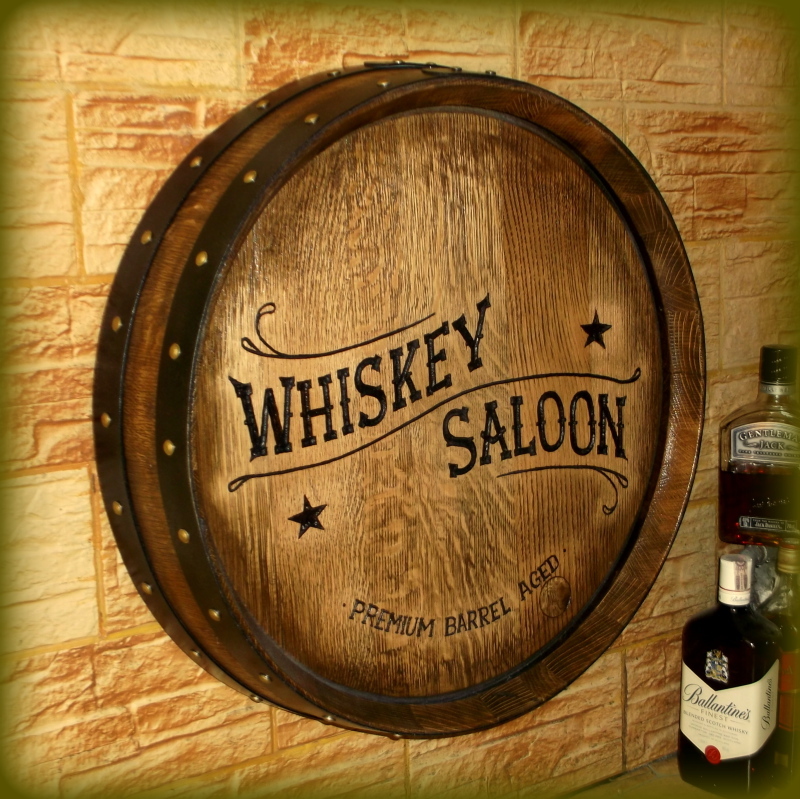 WINE BARREL LOGO GIFT WHISKEY SIGNBOARD  390 €. 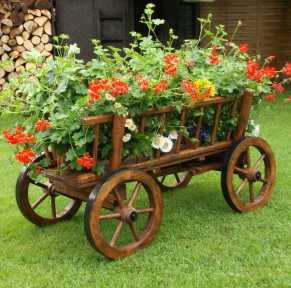 HORSE CART PLANTER  540 €. We can build bigger ones. 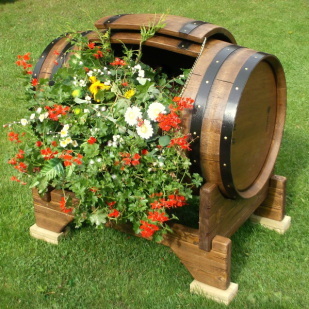 WINE BARREL PLANTER PLANT FLOWER POT  960 €. An original and elegant flower box of authentic French wine barrels. 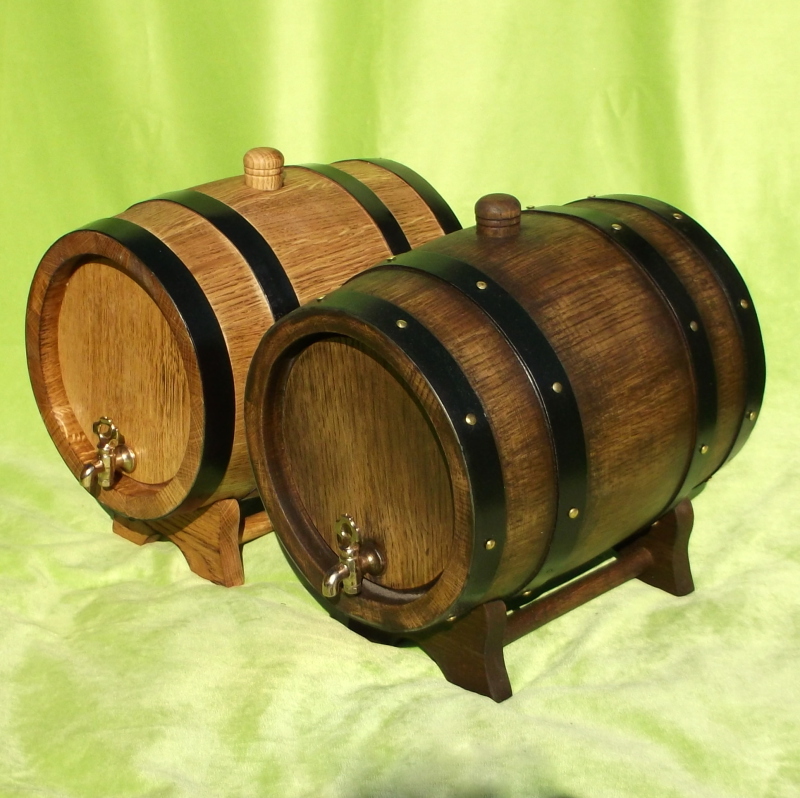 Inoljat oak barrel in "old design" with an amazing life that genuine oak provides. 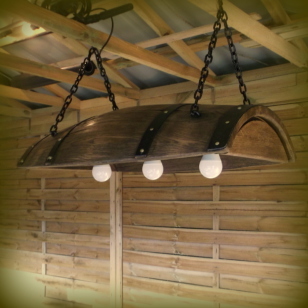 Perfect for wildlife, to the village or perhaps to the company. 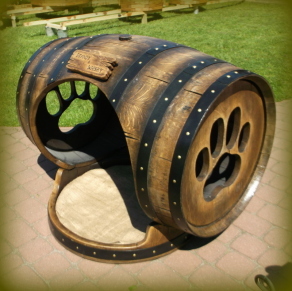 DOG DOGS HOUSE HOME WINE BARREL  1090 €. Dogs bed of wine barrels. An original doghouse made of a wine barrel in massive French oak. WINE BARREL LIGHTING MAN CAVE  490 €. 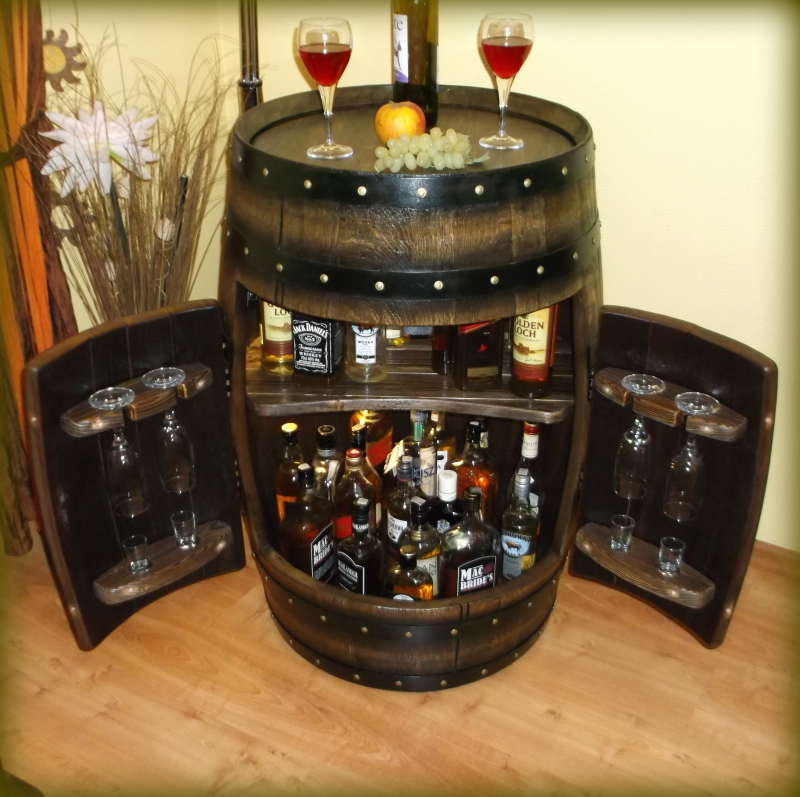 WINE BARREL HOME BAR CABINET MAN CAVE  870 €. 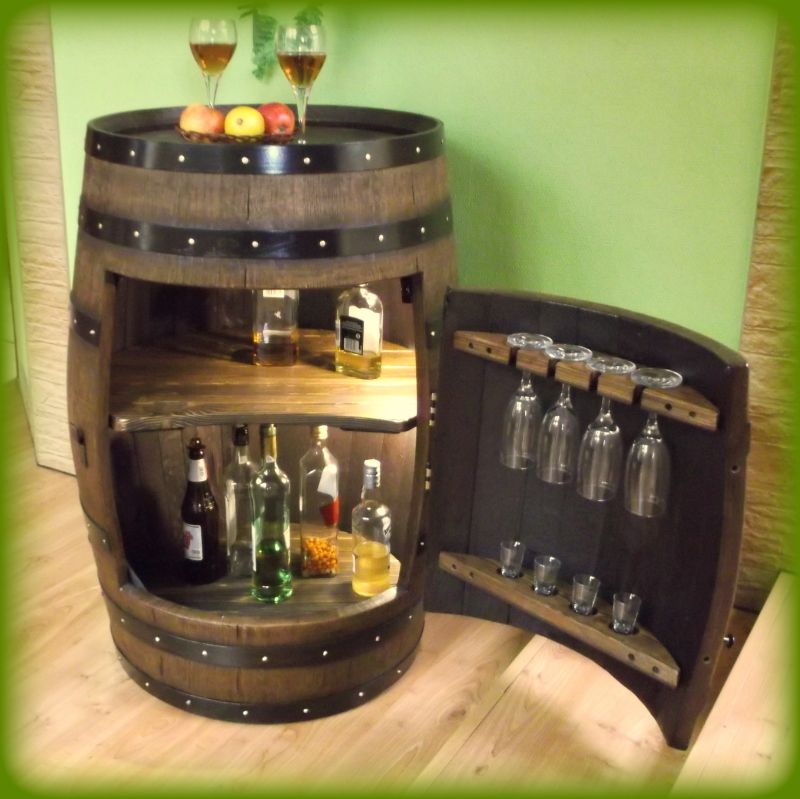 Exclusive barrel cabinet on stand with lockable lid. 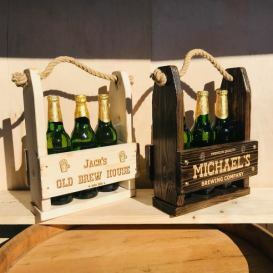 Elegant as a bar / storage in the wine cellar, the balcony, the living room or in the restaurant & pub. 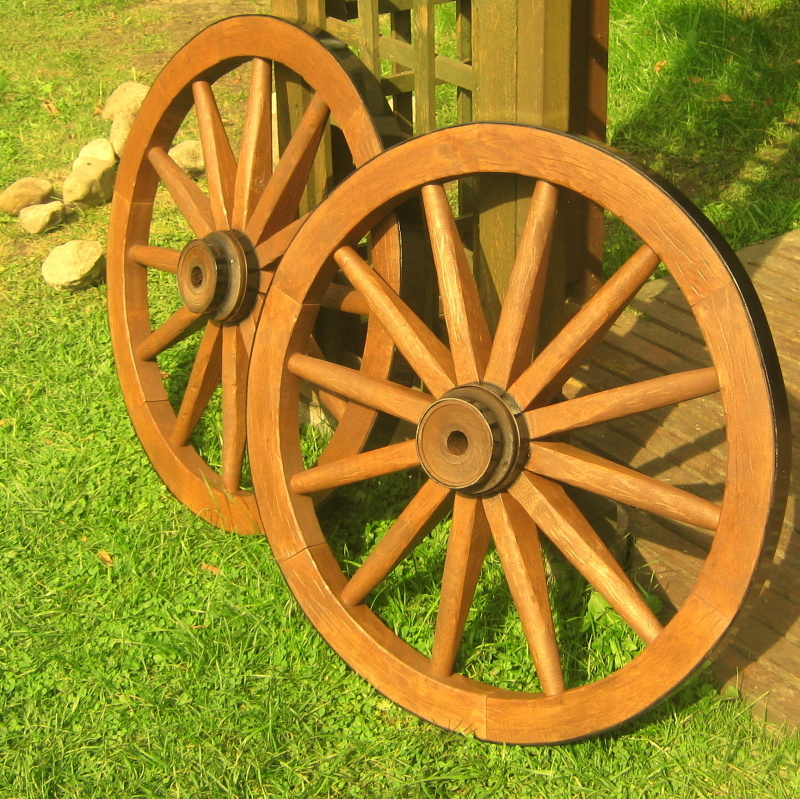 WOODEN BARREL / OAK  160 €. Price ex. Wooden bag with 15 liter lid for storage of dry goods. Height 40 cm. Diam. 33 cm. Different sizes from 1 to 100 liters. For storing dry goods like salt, flour, rice. As well as liquid products like beer, wine, whiskey with built-in brass faucet and burned inside. 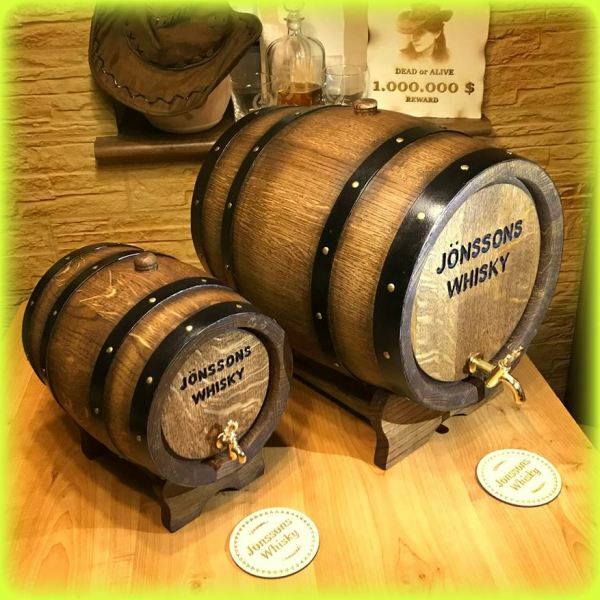 More info about the barrels we can send you. Ask if you're wondering about something. EXCLUSIVE BUSINESS CARDS  85 €. Exclusive business cards made of 3 mm playwood with laser engraved text. 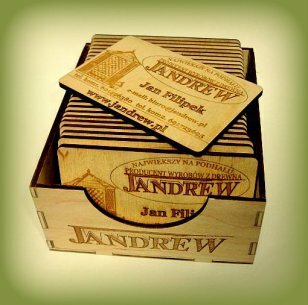 A business card that gives attention, maybe a door opener to new contacts and business. Sold in a package of 30 pieces. HOUSE FOR CHILDREN  940 €. From playhouse to summer cottage. From 490 €. For 1 m2. We offer to choose the size according to your needs. Takes place approx. 80 x 40 cm. Made of artificial fiber. Much more pictures on artificial garden figures we can send as desired. Do you have any favorite? Unusual! Make genuine sense of humor in the yard. "GUCIO" ON THE FLOWER  80 €. Original ornament and pot in one. Funny bee on a flower. Flower / pot diameter about 38 cm. Artificial squirrel with two st. pots. Much more pictures on garden figures we can send as desired. 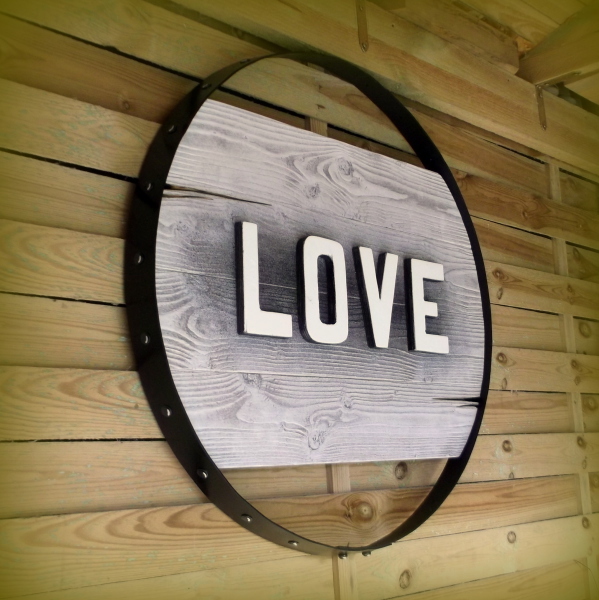 Choose a beautiful patinated wooden surface / Antique Finish. 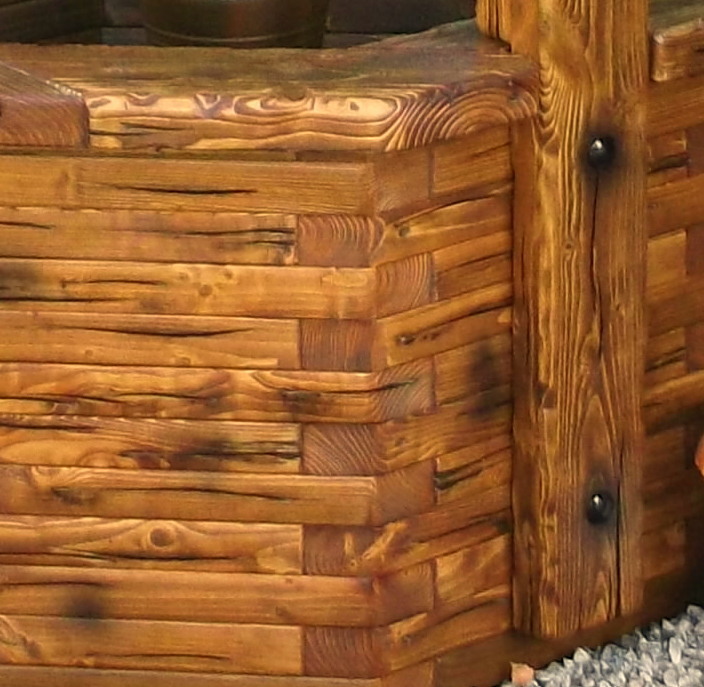 We have our own proven method of making durable and beautiful antique wooden surfaces. They keep a nice look year after year. This is our corporate secret. That's why we give up a 10 year warranty on the durability of the color of our patinated wooden surfaces.